University students and office goers often struggle with the fact that from where to order food. Several questions arise in their mind like what to order today? Will the food be hygienic? Is this place overpriced? And many more. Therefore, we are here to solve your food-related problems. Here we present you a list of best tiffin services that offers hygienic yet delicious food in Udaipur. Lovely tiffin center is a vegetarian food delivery tiffin service that serves both hygienic and budgeted food. Their tiffin service will surely satisfy your taste buds. It offers veg food from cuisines like Rajasthani and Punjabi. The food prepared by Shivani tiffin services is healthy, delicious and just like any home-cooked meal. Reasonable pricing and delicious food make them the best at what they do. Jain tiffin center offers healthy and wholesome meal suitable for all the office goers. It is currently the most popular tiffin center in Udaipur with great taste, quick service, and hygiene. The menu of the tiffin is two vegetables, dal, curry, rice, papad, buttermilk, and salad. Price of the full thali is Rs. 50. Established in the year 2013, Shree Ashapura tiffin center believes in customer satisfaction and works according to customer’s requirement. Home delivery services are available. It provides a variety of food items so that you do not get bored of eating the same food repeatedly. Payment method is quite flexible from cash payment to cheque payment. 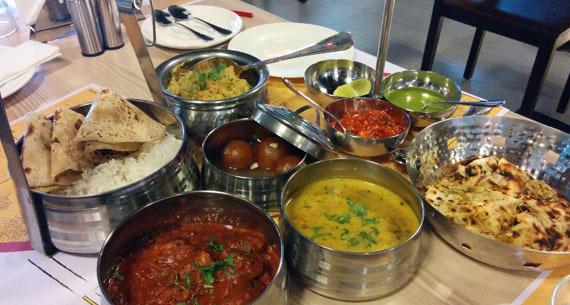 A number of cuisines are available for tiffin at Sharmila’s kitchen. It is quite popular amongst the locals and people from outside the city. It offers tiffin services for Bengali food, Rajasthani food, sweets, tiffin services at the office, etc. The food prepared is very tasty and hygienic. The menu of the tiffin consists of 6 chapatis, gravy vegetable, Dal, and rice. The price of the tiffin is Rs 25/- Home delivery services are available as well. 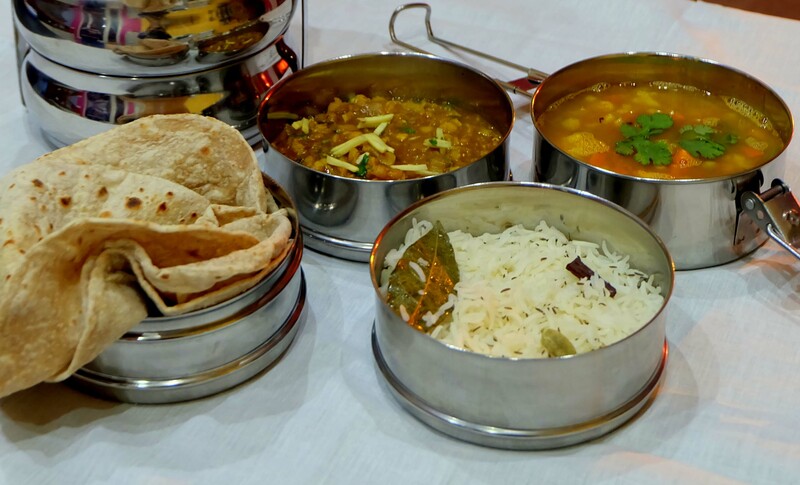 The menu of the tiffin is 6 chapati, one vegetable, dal, rice, and onion salad. The price for this tiffin service is monthly which is Rs. 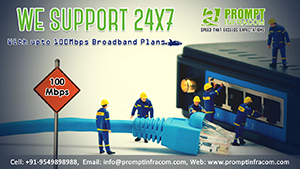 1500/- Home delivery facilities are available. Contents of the tiffin are 6 Chapati, 1 vegetable, Dal, and rice. 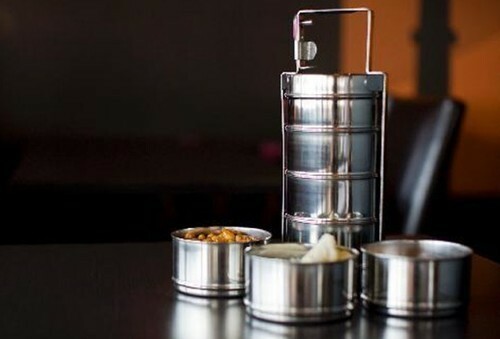 Prices for the tiffin are Rs 30/- Home delivery services are available too. Tasty and hygienic food is prepared at Padmavati tiffin center. It is a pure veg tiffin service. Homemade food prepared for students, office workers, and other. It is a pure veg tiffin center where steaming hot food is delivered to your home and office. 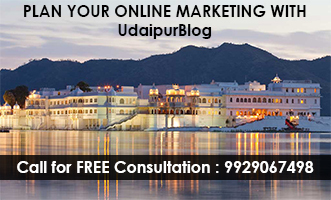 That was the list of all the finest tiffin services in Udaipur. If you are an outsider and have to search for a good tiffin service, you do not have to roam here and there anymore. If you have any more suggestions regarding some more good tiffin services, feel free to share with us in the comment section below or e-mail at juhee@udaipurblog.com.